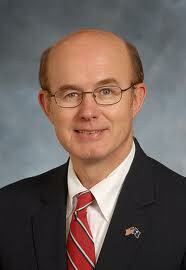 Ask Jeff to ensure your property rights as a Pickens County resident concerning rails to trails legislation. Mr. Duncan should know what you are referring to by this statement. We must ask him individually to show our need for his help in this matter. Ask Mr. Martin not to allow The Pickens County School Board to expand to seven seats, allowing two Easley seats. This expansion would give Easley an unfair advantage on the board. Tell him that Pickens County eliminated two at large seats and would like to see continued savings and fair school board votes that represent each area equally.